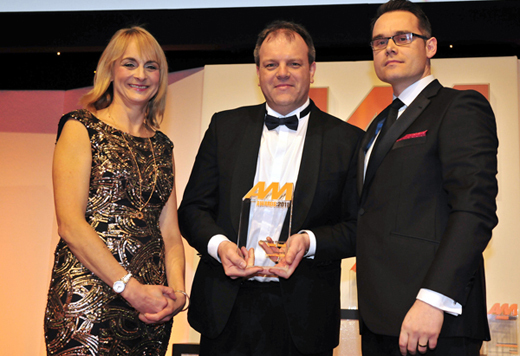 At a glittering ceremony at the International Convention Centre in Birmingham on Thursday (February 19) the Hyundai and Suzuki dealer won the award for Excellence in Aftersales – having scooped the runner-up prize in the same category a year ago. The award follows recognition for Pebley Beach by Hyundai, which named the company Aftersales Dealer of the Year at its own conference at the Stadium MK in Milton Keynes last month. The AM Awards judges noted that the company does not measure success against sales targets alone, but includes levels of customer satisfaction. Last year the firm was voted the UK’s Garage of the Year at the Motor Codes awards, with a satisfaction score of 98 percent from 367 surveys. The judges were also impressed by Pebley’s policy of taking on apprentices. Forty-three percent of staff join the company aged 21 or younger. Equally, the judges noted the company’s Train to Leave scheme, where it commits to training them in an area of the business of their choosing at the company’s expense, if it can’t accommodate their own professional ambitions. This entry was posted in Business, Motoring and tagged AM Awards, customer service, Pebley Beach. Bookmark the permalink.